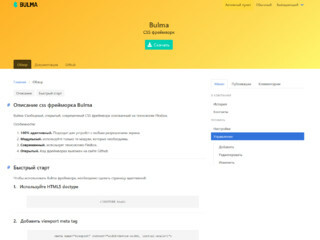 Template, that based on CSS framework Bulma. By using the latest CSS3 features such as Flexbox, and planning on using CSS Variables and CSS Grid, Bulma aims to stay on the bleeding edge of browser technology. tpl.ThemeBulma.footer site footer and timing.